BoldGrid Inspirations are used to provide a framework to quickly create your WordPress website. Each Inspiration provides a responsively designed themethat is organized into categories based on industry standard websites. 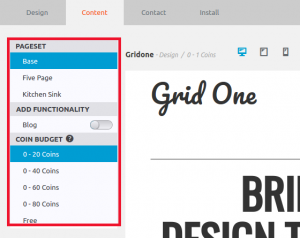 When you install a BoldGrid Inspiration it is a complete WordPress website where you simply need to insert your content and modify it to meet your needs. 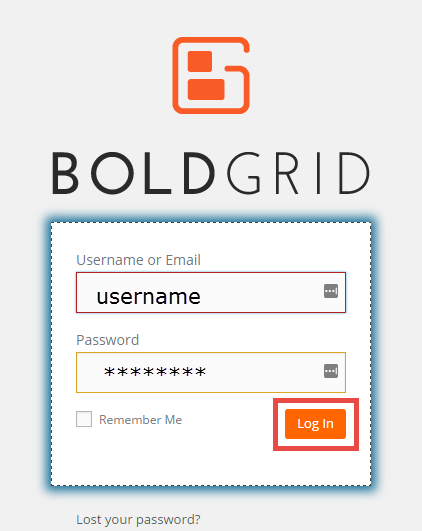 When you first install the BoldGrid plugin you will need to select an Inspiration as your active site. 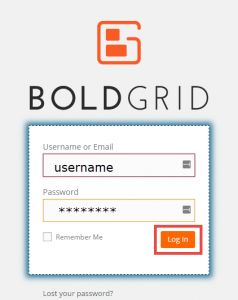 The following instructions will guide you through how to install a BoldGrid Inspiration. 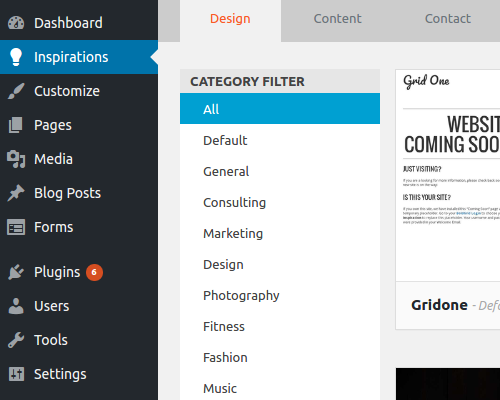 If you are not already logged into the WordPress Dashboard, please log in to install a BoldGrid Inspiration. Click on Inspirations from the menu at left. You will see the different Inspirations listed and represented by a thumbnail graphic at right. 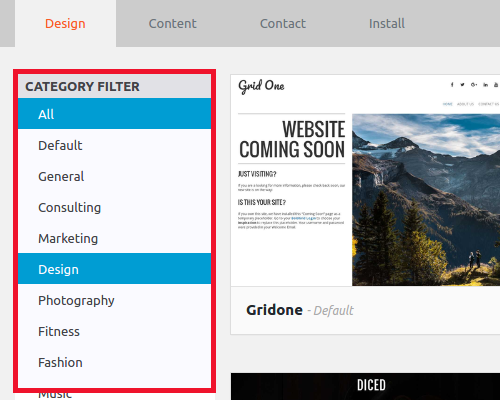 You will also see a Category Filter that will allow you to choose the Inspirations based on an industry type. Click on a category to filter the Inspirations that you see, or click on an Inspiration in order to see the Inspiration in more detail. Select the Inspiration that you wish to use. Each Inspiration has 3 different page sets: Base, Five Page, and Kitchen Sink. For information about choosing page sets, please see Selecting a Page Set.Click on the PageSet that you wish to use. 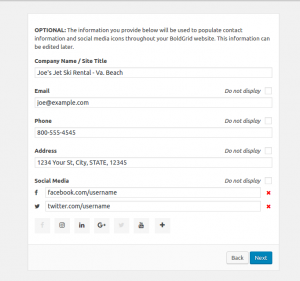 Add Functionality allows you add an optional blog component to your site. Directly below the Pageset option is the Coin Budget. Each Inspiration contains many stock photo images that may require purchase. 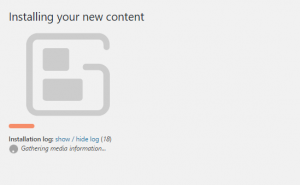 The image content is purchased by using Copyright Coins. Choose your Coin Budget from the list. Copyright Coins allow you to easily purchase content licenses. You will not be charged for these licenses until you download images without watermarks. For more information, please see How to Use BoldGrid Coins. NOTE: Any image within the Inspiration that you do not purchase will need to be replaced with a graphic that you provide. Stock images that require purchase will have a watermark across the image. At this point, you will need to choose if you are installing an active site or a staging site. If you have not installed an Inspiration previously, you will be given the option to select Make this new Inspiration my website or Make this new Inspiration my Staging website. It is not necessary to install a staging site first. You can jump right to active or staging. Learn more about the difference in active and staging sites in the tutorial Understanding Active vs. Staging. Click on Install this website to install a BoldGrid Inspiration. You will then see the BoldGrid Inspiration being installed into your WordPress site. 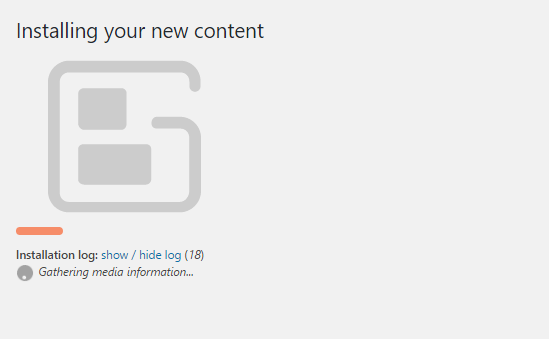 After it is completed, you will be given a congratulatory message indicating that your new BoldGrid site has been installed and is ready to view. 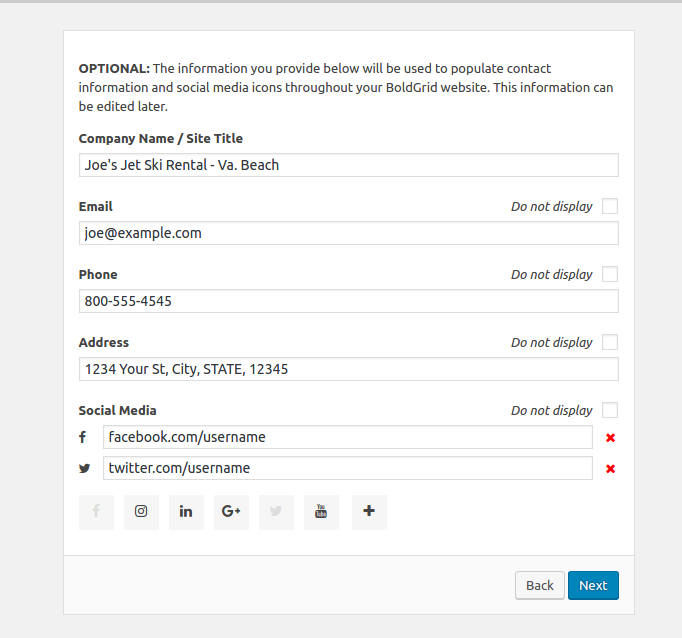 You will have the option to click on Customize in order to begin modifying the site title and logo.